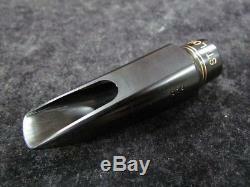 Saxquest'The Lead' Alto Saxophone Mouthpiece 7. 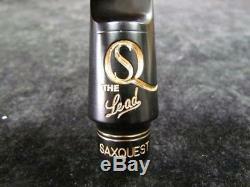 "The Lead" is in the NEW Saxquest line of mouthpieces and was designed as a straight ahead jazz alto piece that's not shy on volume or projection. 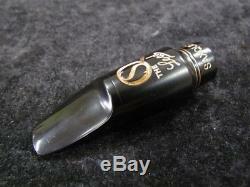 We took some of the very best New York Meyer Bros pieces, the truly greatest playing mouthpieces we have been able to accumulate over the history of Saxquest, and using them as a template, created what we think to be the best lead alto sax mouthpiece you'll find. 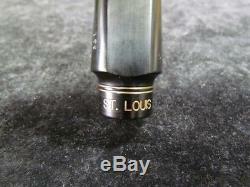 The trick with all of the Saxquest mouthpieces was to build in harmonic complexity while manipulating sound concepts such as brightness and darkness all the while maximizing the efficiency and keeping the resistance point to where it matches the chamber volume and gels with a variety of tip openings. 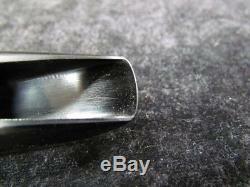 This mouthpiece was manufactured in collaboration with the great mouthpiece maker, Eric Falcon. It is made from ultra-premium solid German bar stock hard rubber. 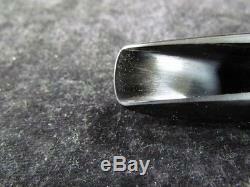 Its turned on a CNC controlled high precision lathe and then milled on an absolute state of the art 5-axis vertical mill. Shaping of the throat, baffle & tip rail; profiling of the chamber; under-cutting of the side walls, and cutting of the window is all accomplished using three strokes per pass. 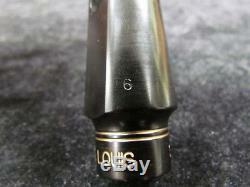 This results in fabulously tight tolerances which leads to incredible consistency from piece to piece. 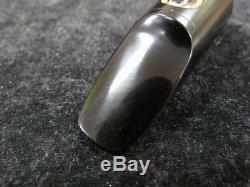 All mouthpieces are then hand finished by Eric Falcon. 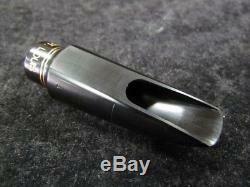 We have put a huge effort into this project and I invite you to give this mouthpiece a try. Please see the stated policies on our website for more details. 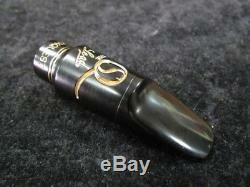 The item "Saxquest'The Lead' Alto Saxophone Mouthpiece 7 (. 080) Hard Rubber" is in sale since Friday, July 20, 2018.